From the opening track of their third album, simply called [EM] 3, it's clear that the trio of pianist Michael Wollny, bassist Eva Kruse, and drummer Eric Schaefer works as a musical unit and less as a combo of three individual musicians. Their brand of jazz is less based on the hard bop conventions of theme-improv-theme reprisal; it's more a combination of jazz improvisation and modern composition, and most of the time, there's no real separation between soloist and accompanist. 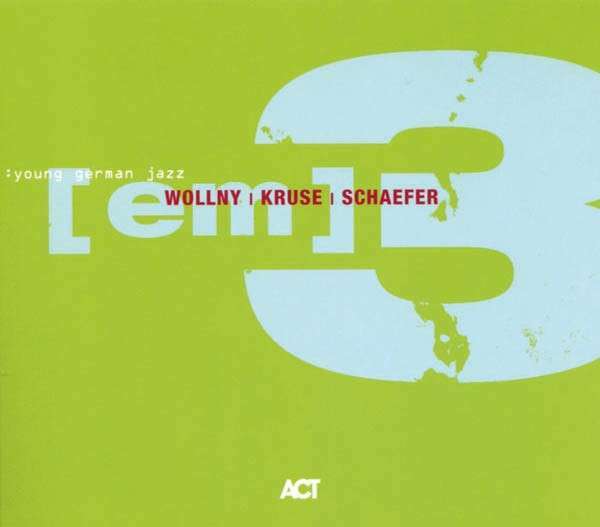 Schaefer provides over half of the album's compositions, with Kruse and Wollny contributing another three songs each. The material ranges from the nervous "Nocturne" to the creepy "Monsters" with its intimidating rhythmic repetition, from the dissonant undercurrents of "Kiyoshi" to the aggressive but lively "Gravité." Oftentimes, the band sounds reserved, as if the musicians are being careful when entering unknown territory -- as on "Arsène Somnambule," where a sweet and melancholy moment develops slowly into a dramatic peak, followed by a quiet and peaceful finish. It's impressive and challenging listening, even though there is such a somber, serious, and often somewhat abstract quality to the music that it's difficult to really delve into it -- it seems as if the musicians were trying to keep the listener at a distance. With a little bit of patience, however, the music slowly opens up, and reveals an intelligent and noteworthy album. This review was written for the All-Music Guide on June 30, 2008.